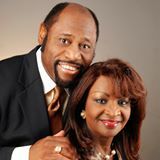 It was Sunday night when my wife Dorothy walked into my study with the news that Dr. Myles Munroe and his wife had been killed in a plane crash in the Bahamas. Like other people around the world, I was numb with shock at such a tragic ending to the life of such a great man of God. All who knew him will have stories to tell, so I too want to share some of my impressions and memories about Myles Munroe. FRIEND – I had the privilege to have personally known Myles for well over thirty years. Very early on in his ministry, back in 1983, he invited me to speak in his church in the Bahamas. At that time, Myles was not the internationally known speaker that he later became. While there God gave me a word for him. Built around four scriptures, I declared that God was about to enlarge his ministry. God was going to build a little Zion in the Bahamas. 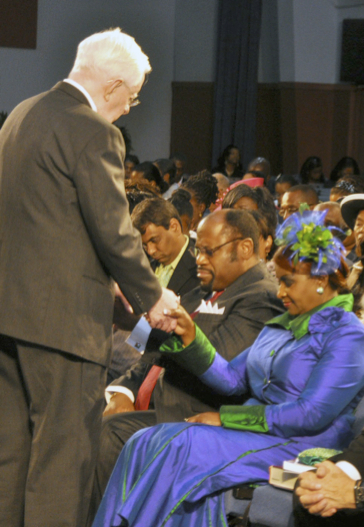 That God was going to bring people from all over the world to the Bahamas. That the heart of it all was going to be a powerful teaching ministry. Myles, at that time, was also working for the government, but I gave him a call, ‘Myles,’ I said, ‘I feel that it is time for you to go full time (in ministry). You’ve got to be free, not only for here, but you have to be free to go wherever God says you are to go. And you are going to travel the world.’ Across the years, I was blessed to see how the Lord fulfilled that prophetic word, as Myles traveled the world, imparting his anointed teaching that has inspired so many people and leaders. PREACHER AND TEACHER – Myles was always very upbeat, positive and full of faith when he brought his powerful messages. Myles was, for me, the most impacting speaker I have ever heard, as he clearly articulated his message on the Kingdom of God, potential and purpose and so many other topics. There are so many unforgettable messages he brought, like the one, given at one of our conventions, on Jesus’ Words: “I will build my church and the gates of hell shall not prevail against it.” He was a remarkable teacher of the word and he could hold a congregation spell bound with his message. Not to say that I always agreed with everything he said. Indeed, we had an intense difference over his teaching that God needed man’s permission to work on earth. Nonetheless, I was challenged by all that he so powerfully presented and said ‘Amen’ to so much of what he declared. HUSBAND AND FATHER – His love for Ruth and the honor he gave her was obvious, as well as the love for his two children. Consequently, he was able to write and teach about marriage, fathers and families. HIS LEGACY – Many tributes have been and will be made about this remarkable man. Truly, he was a ‘General in the Army of God.’ His legacy through his books and tapes will live on, as well as in the lives of so many people and leaders that he impacted across the years. He will be greatly missed. There is no one quite like Myles Munroe. who blessed our lives so richly. Thank you Lord for the memories.